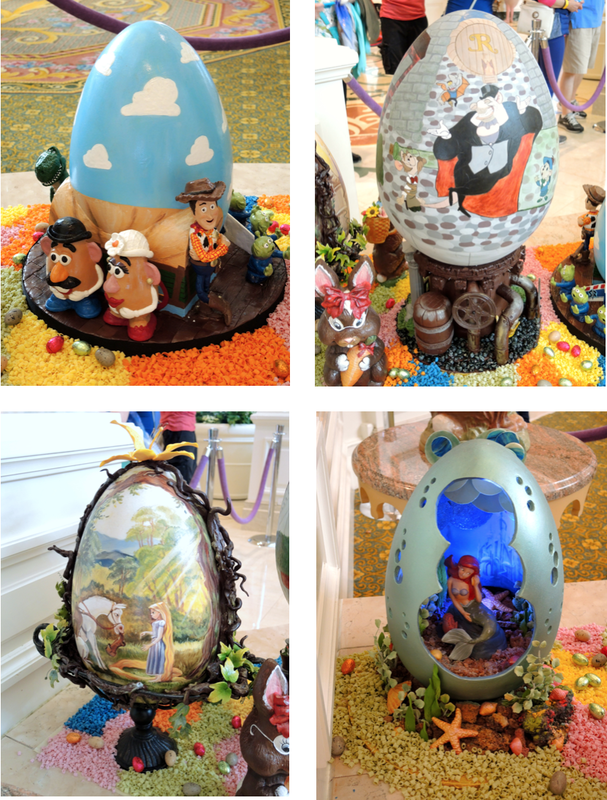 With Easter just around the corner, the Grand Floridian Resort & Spa is celebrating with it’s 4th Annual Easter Egg Display in the Grand Lobby. 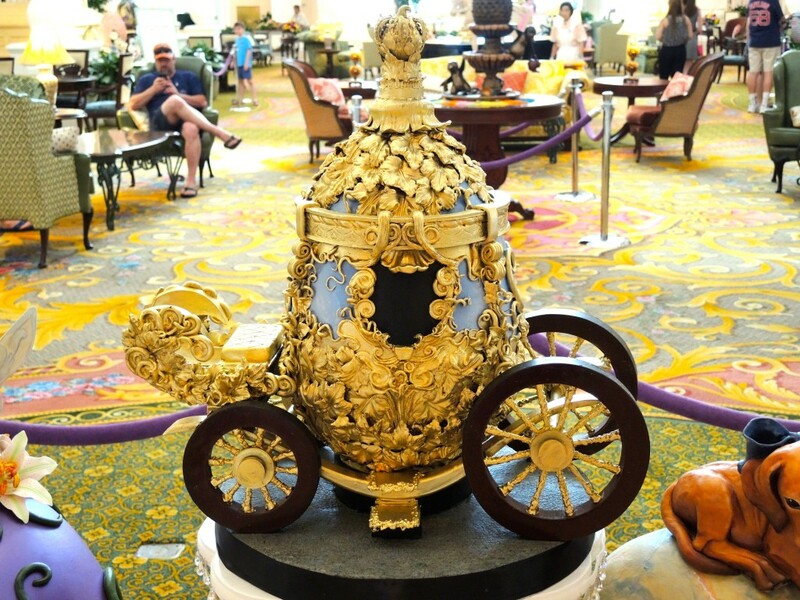 The display is worthy of a special trip to the Grand Floridian just to witness the incredibly artistry through April 10. 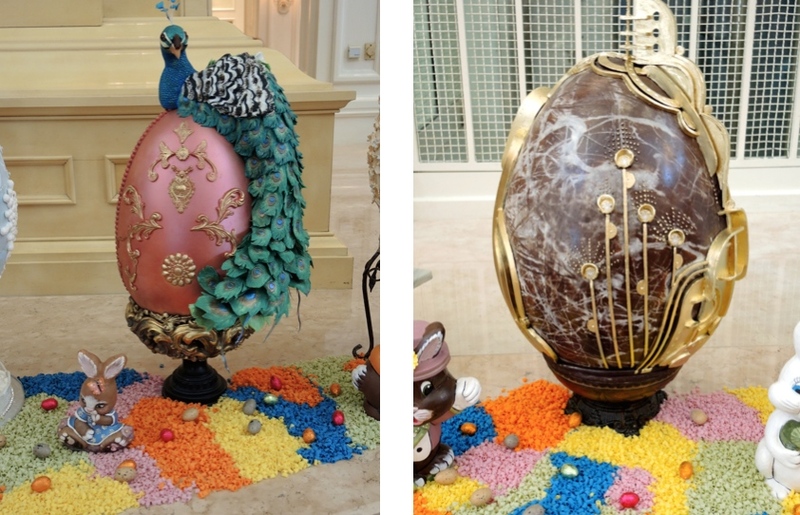 The Grand Floridian’s bakery team, led by Executive Pastry Chef Erich Herbitschek, has been designing and hand decorating Easter Egg for 19 years and spent over three weeks creating these amazing edible works of art. 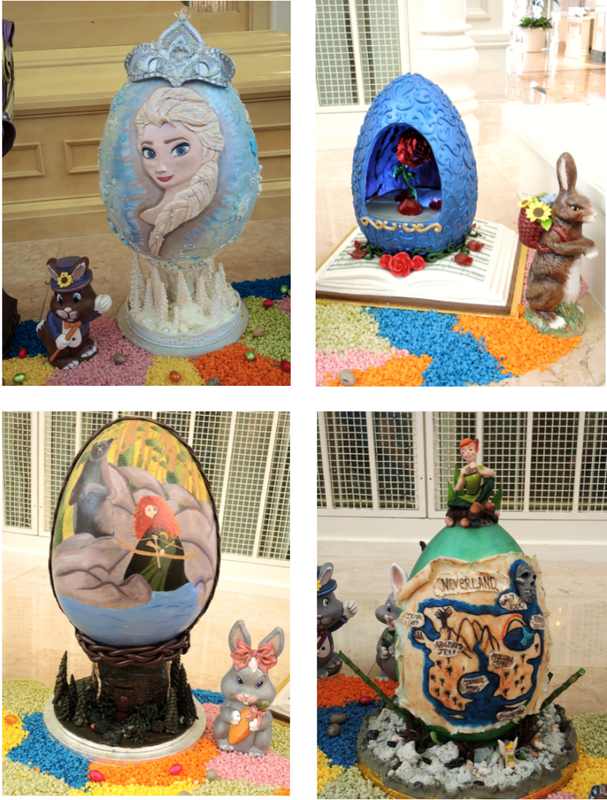 Each one of the eggs are hollow chocolate weighing between 9 and 12 pounds and standing between 16 and 20 inches tall. 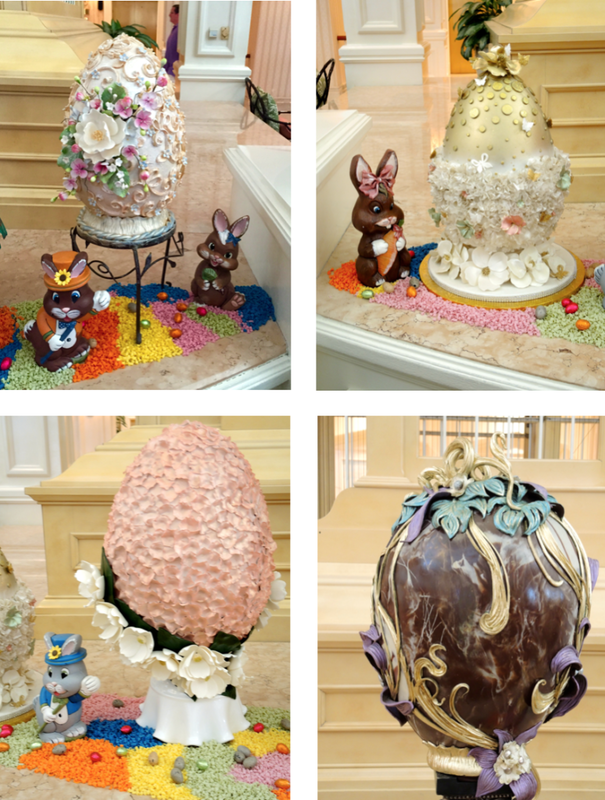 The eggs are ornamented with edible products such as fondant, sculpted sugar art pieces, modeling chocolate, royal icing and colored cocoa butter. 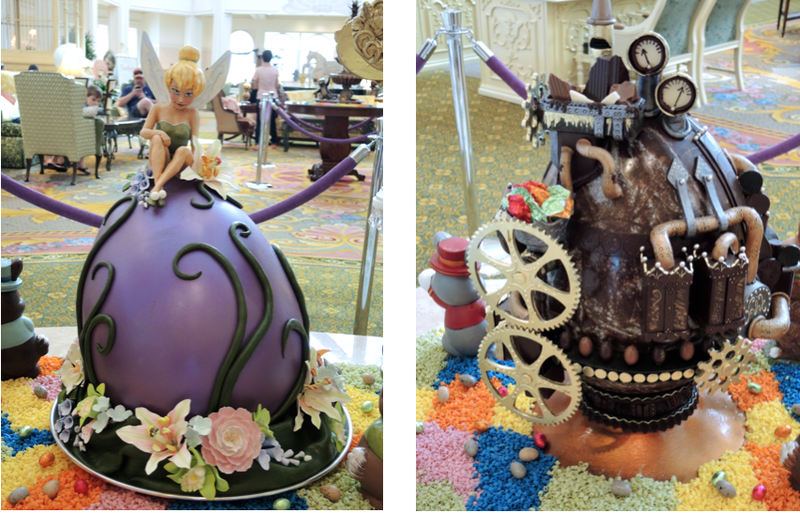 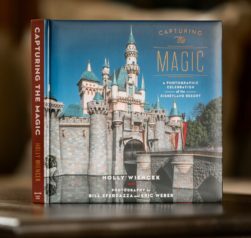 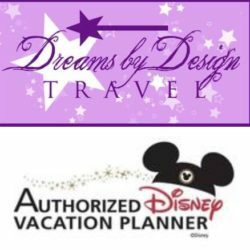 The attention to detail is exquisite as Disney fans would expect and does not fall short of spectacular. 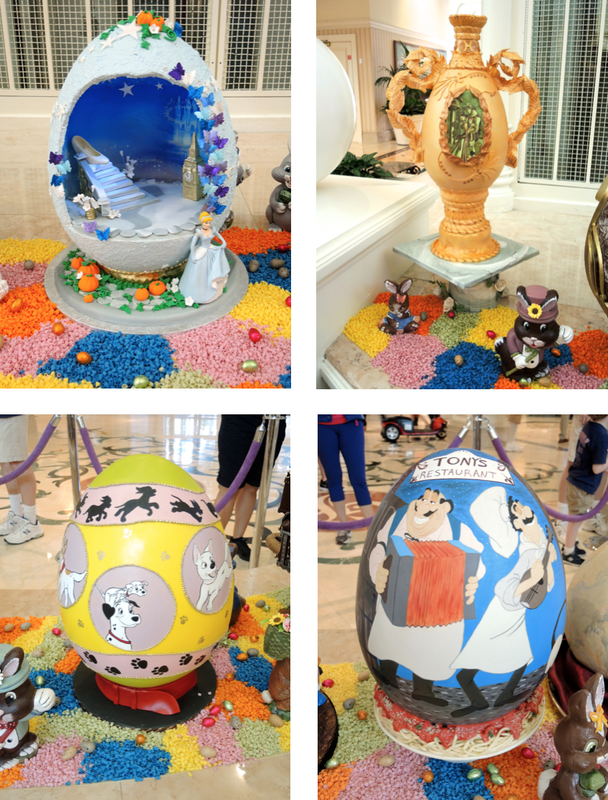 Our favorites were the Disney themed eggs depicting scene from some of the most loved Disney movies of all time.